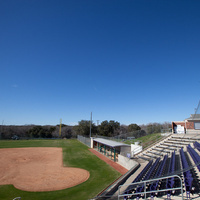 The Dee Dillon Softball Field was originally built in 1996 in the main part of campus. It was dedicated to honor Dee Dillon, chair-person of the Health and Physical Education department at UMHB from 1954-1965. It was moved in 2004 to the Crusader SportsPlex and was dedicated on April 20, 2005.